We gave Butterfly Silver’s website a cleaner, refreshed design – just in time for their peak sales season. We provide ongoing management for this site which involves a daily sync of 5000+ products between their point of sale system, the website and affiliate website www.westfield.com.au. 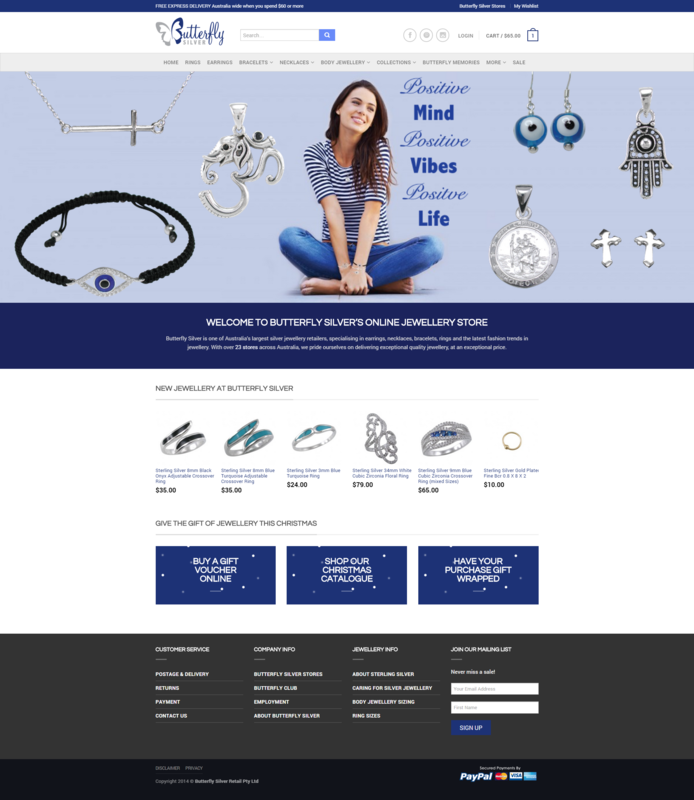 Check it out the website of one of Australia’s largest silver jewellery retailers.